Please enter your desired text AND your ring size. I use whatever spoons I have available at the time- please expect that your ring will be unique to you! 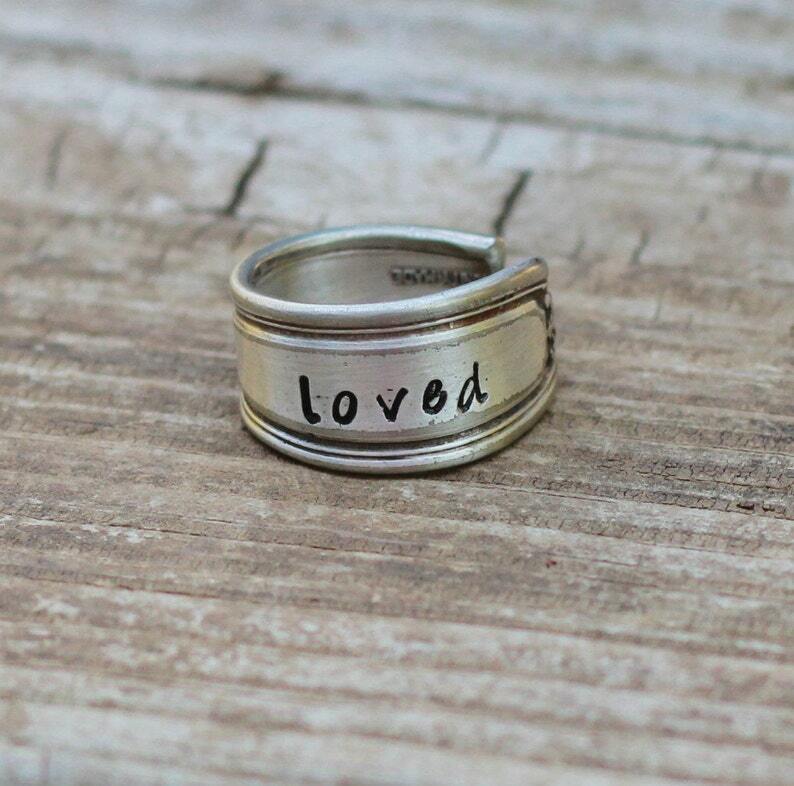 I ordered my ring for a statement ring with my word of the year on it and I love it! Not only do I love the ring, but she included a gift along with my order - a delight and so unexpected!